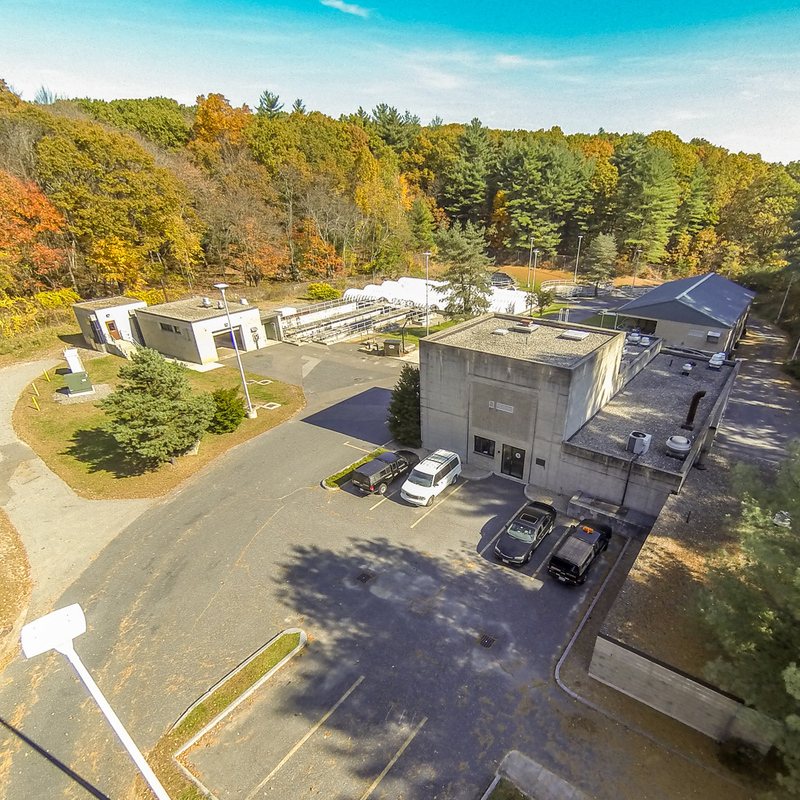 The Water and Sewer Division is responsible for ensuring that the town’s water supply meets or exceeds all EPA and DEP guidelines for safe drinking water and that all wastewater is collected and delivered to the wastewater treatment plant. Rules and regulations regarding the use of the town’s water and sewer facilities are available in the Resources section below. Effective April 1, 2014 the water/sewer bills will not be mailed with your tax bills. They will continue to be mailed four times a year. If you don’t receive a bill or you think there may be an error, please contact our office and we will take appropriate action to correct the issues. For any emergencies please call 978-897-1317 during normal business hours or Police after hours at 978-897-1011. Please visit the Water & Sewer Discounts page for details on qualifying for a Senior Discount. Drought conditions and other factors may require water conservation restrictions to be enacted. Visit our Water Restrictions page to learn about restrictions and the current status of our water supply. 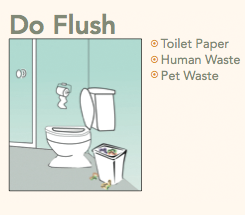 Disposable does not mean flushable. 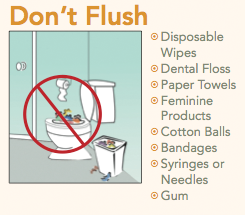 Cleaning wipes, baby wipes, and other moist towelettes that are described as ‘flushable’ do not dissolve, but they do accumulate in our sewer system causing clogs and back ups. 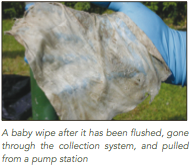 The Maynard Water and Sewer Division encourages you to minimize the use of disposable wipes and to discard used wipes in the trash rather than flushing them. For more information please download this short information packet. Periodically the DPW will flush fire hydrants town-wide. This process helps maintain water quality and clarity by removing sediments in the system. It also provides information about flows and pressures which help with maintenance. Learn more about our Hydrant Flushing and Maintenance program. The Maynard Water Department is committed to providing our customers with water that meets or surpasses all state and federal drinking water standards. The Maynard water system is a registered public water supply with ID#2174000. To ensure that we continue to deliver this quality product, the Water Division continues to make investments in water quality monitoring, water source protection, water mains, and the water treatment plants. We are pleased to report the results of our 2017 water testing to inform you about your drinking water. We will be providing the public a report each year with information about annual water quality. 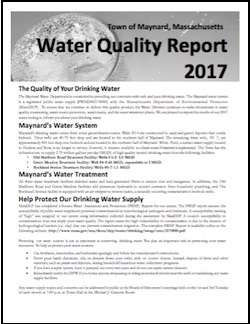 Download the 2017 Water Quality Report. Click here for information on the 2011 Water Resources Report.